malnutrition. Climate change has been the cause behind increasing risks of hunger through the following ways: Severe weather events; which enhance the intensity of calamities such as floods, droughts, and storms which affect the food security and livelihoods. These disasters end up in destroying food crops. Long-term climate risks; these mostly affects food security and nutrition concerning food availability, food access & utilization as well as food stability. According to Quaye et al., there is a deep relationship between food security and ecological change. Several studies have proven that there are various ways that changes in climate, affects food security. Effects on livestock and crop production have a long-term impact on food prices. Also, other environmental changes influenced by human beings such as water availability, nitrogen availability, and land cover, have significant effects on the process of achieving food security. Further, in the places that suffer from extreme climate conditions such as flooding and drought, climate change can increase production risks. Above requirements can lead to hunger and poverty. For the entire world to adapt to climate change, it calls for a continuous assessment of its impact on the fast-growing population, land and water usage, as well as capability of the changing technologies. However, as much as agriculture is the victim of climate change, it has as well contributed to this problem due to emissions of gasses from the greenhouse. Quaye et al. explains that soil moisture and soil erosion are widely affected by changes in rainfall patterns and amounts, and increase in temperature this in return adversely affects crop production. Broder indicates that some regions such as Sub-Saharan Africa, Middle East, and South East Asia will be at risk of flooding, water crisis, and food shortages in the next 20 to 30 years to come. For example, a high percentage of Africa’s population depends on agriculture; they have increasingly damaged their environment with activities such as; desertification, fertile lands lost to soil erosion, deforestation, and water scarcity across the African continent. Therefore, a mixture of the above scenarios leads to climate variability. Also, increased famine and water shortages cause food shortages, and this might result in malnutrition. On the other hand, increased flooding might cause infectious diseases such as malnutrition. Climate change alters the weather patterns; this might lead to an outbreak of varying pests and diseases. Also, some regions in the world which don’t have optimum temperatures ends up in causing the emergence of various pathogens which their result is the usage of biocides and other related medicines are harmful to animal health and production. Also, during the process of transporting food products to its preferred destination climate change can end up in raising temperatures that may end up replicating bacteria which are harmful. Several studies have indicated that temperature raises associated increasing toxins in several parts of the world such as United States, Europe, and these cases. Other notable cases like in Australia, temperatures may rise to high levels to the extent of reducing toxin production and fungal growth. It is worthy to note that both temperature and precipitation directly influences crop production since they are determinants of already established climatic zones worldwide. In most cases, much of climate changes effects cause a significant rise in population of pests and diseases. However, currently, a higher production of many crops from various regions is produced the new technology as well as to the diminishing number of pests and diseases. Further effects associated with climate change are that millions of people across the world their lives are influenced by climate fluctuations. Therefore a clear assessment of food security and climate variations should be studied. Constant food insecurity relates to high levels of hunger and famine. Therefore food security eradicates this vulnerability. 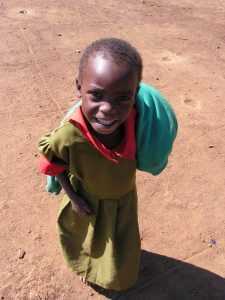 The primary symptom of hunger and starvation to human beings is stunted growth which is noted by diminishing body size. Besides, climate change effects include the change in livelihood patterns and productivity, economic losses, as well as effects on infrastructure due to high rainfall intensity which leads to devastated road networks. Next Post What to do with the lack of motivation? Essay Tactics – How to Approach the “How to Prevent Climate Change” Topic? What to do with the lack of motivation?